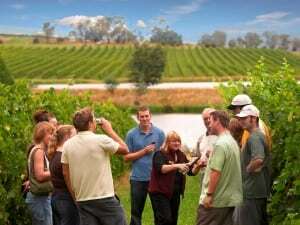 TripAdvisor Votes Australian Wine Tour Co as the 5th Most Popular Australian Tour - Australian Wine Tour Co.
At the end of the financial year, TripAdvisor, the world’s largest travel site for reviews and bookings announced the top ten most booked tours in Australia. Coming in at number five and ranking higher than the Great Barrier Reef, was our very own Yarra Valley Wine and Winery Tour from Melbourne. As one of only three Victorian destinations included on TripAdvisor’s list of most popular tours for 2016, we’re very pleased and can’t wait to share this fantastic day tour with more locals and tourists alike over the next financial year. As the home of Australia’s best cool-climate wines, as well as a picturesque landscape, mouth-watering cuisine that’s made from locally-grown produce, and attractions like Healesville Sanctuary, it’s not surprising the Yarra Valley is a coveted tourist destination. If you’re looking at taking a coach tour around the Yarra Valley and want to experience the sights and tastes of this incredibly diverse region, talk to us today about our selection of day and weekend trips.